True lilies belong to the genus Lilium and grow from plump, scaly bulbs. They are magnificent flowers that command attention wherever they are planted. 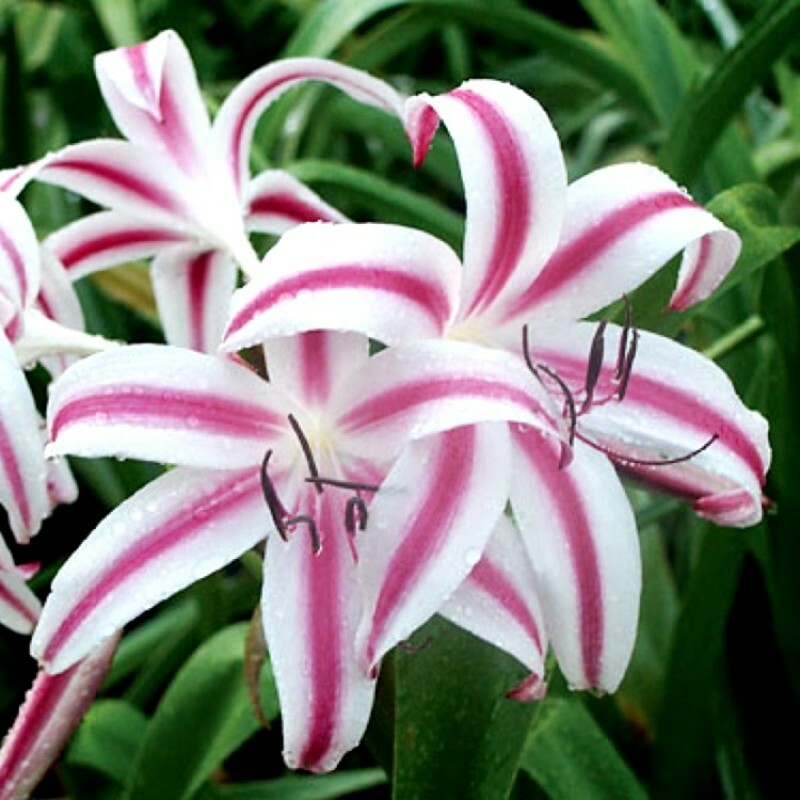 Lily flowers are valued for their very showy, often fragrant flowers. The 6 plain or strikingly marked tepals ("petals") are often trumpet-shaped, sitting atop tall, erect stems. At home in both formal and naturalistic settings, lilies also most take readily to containers. They all make wonderful cut flowers. By carefully blending early, mid-season, and late varieties into your garden, you will enjoy their bewitching blooms and seductive scents from spring through frost. Plant bulbs in autumn. Loosen the soil to a depth of 12 to 15 inches. The deep planting encourages the developing stem to send out roots to help stabilize the plant and perhaps eliminate the need for staking. Note: Lilies do not thrive in Zones 9 to 10 without a period of refrigeration; they need a cold, dormant period. For dependable blooms, lilies need six to eight hours of sunshine a day, yet they prosper in the presence of other low plants that protect their roots from drying out. Water trapped beneath the scales may rot the bulb, so a well-drained site is Most of the popular varieties prefer acidic to neutral soil, but some are lime-tolerant or prefer alkaline soils (e.g., Madonna lilies). Grow in soil enriched with leaf mold or well-rotted organic matter. Dig a hole 2 to 3 times as deep as the bulbs are high and set the bulb in the hole pointy side up. Fill the hole with soil and tamp gently. Space bulbs at a distance equal to 3 times the bulb's diameter. In active growth, water freely and apply a high-potash liquid fertilizer every 2 weeks. Water plants in the summer if rainfall is less than 1 inch per week. As flowers fade, cut back the stalks to the base of the plant. After bloom, divide lilies. Replant using compost and bonemeal. 3 bulbs pack of fresh Crinum Lily Star Bulbs. Best time to plant grow: Rainy and Summer. Plant nature is indoor-semi shade, less watering.